Facilitators Bio's - Association "Les Coccinelles"
Starhawk is an author, activist, permaculture designer, and one of the foremost voices in earth-based spirituality. She has lived and worked in collectives for thirty years. Her twelve books include The Spiral Dance, The Fifth Sacred Thing, The Earth Path, and her first picture book for children, The Last Wild Witch. Her book on group dynamics, The Empowerment Manual: A Guide for Collaborative Groups, is available from New Society. Ecrivaine, grande figure passeuse et penseuse de la mouvance écoféministe et de l’activisme écologiste, Starhawk explore et tisse des liens entre écoféminisme, néopaganisme et permaculture. Elle travaille pour une spiritualité, une philosophie et une praxis enracinées dans la terre. Starhawk a écrit et coécrit treize ouvrages de fiction et de non-fiction, traduits dans une douzaine de langues, parmi lesquels les classiques “Rêver l’obscur : femmes, magie et politique” ; “The Spiral Dance: A Rebirth of the Ancient Religion of the Great Goddess” ; “The Empowerment Manual: A Guide for Collaborative Groups” ; le roman “The Fifth Sacred Thing”, (écofiction dystopique et utopique à la fois réputée pour l’imagination visionnaire d’un autre futur possible), et sa suite, “City of Refuge”. 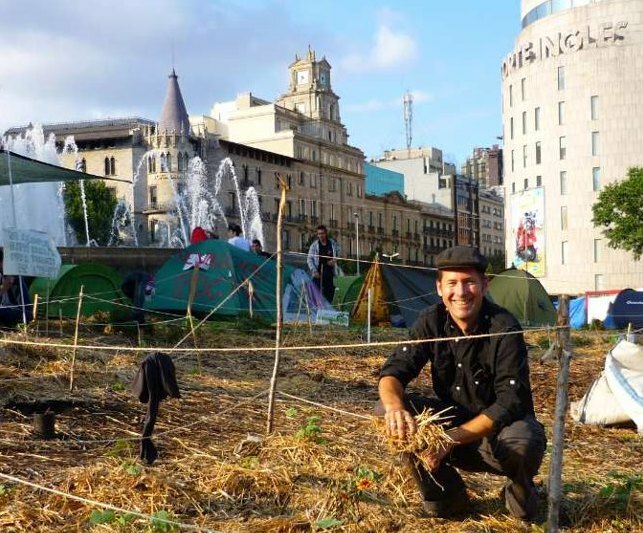 ​Since his first PDC in 1998 in California (where Alfred and Starhawk were students together), Alfred Decker has been involved with permaculture projects and social movements and projects throughout Europe and the Americas. He is the founder of the 12 Principles Permaculture Design consultancy, and is focused on facilitating permaculture teacher trainings. Alfred lives in the coastal mountains north of Barcelona, Spain, where he is developing a permaculture demonstration site and educational project called Can Comú.